Here is the recording of the OpenNebula session at GigaOM Structure Europe. The interview covers the OpenNebula's focus on user needs and its recipe for success described in the post David Versus Goliath in Open-source Cloud Computing: The OpenNebula Recipe for Success. A vibrant and engaged community. Many people and organizations contribute in different ways to the project, from the expertise and dedication of our core committers and hundreds of contributors to the valuable feedback of our thousands of users. The power of user-driven development. OpenNebula's roadmap is completely driven by users needs with features that meet real demands, and not features that result from an agreement between IT vendors planning to create their own proprietary cloud solution. Volunteer development by the users. Most of contributors are users of the software that are willing to contribute new innovative features from their production environments, they are not developers hired by vendors to contribute to the project. Delivery as a production-proven, packaged product. OpenNebula comprises all key functionalities for cloud computing with a single installing, patching and updating process. Other open-source alternatives require proprietary components to be ready for the enterprise. Cloud-API agnostic. OpenNebula provides cloud consumers with choice of interfaces, from open cloud by main standards bodies to de-facto standards. OpenNebula does not try to reinvent the wheel and create a new cloud API. Richer functionality and wider integration capabilities. OpenNebula does not only bring an open-source implementation of the most common public cloud interfaces, but also the latest innovations in the management of virtualized data centers for the deployment of cutting edge enterprise clouds. Marketing-free technology. OpenNebula mainly invests its resources in developing technology and serving its users, being really vendor agnostic and free of marketing. In summary, a vibrant and engaged community, along with our focus on solving real user needs in innovative ways and the involvement of the users in a fully vendor-agnostic project, constitute the OpenNebula’s recipe to compete with the rest of open-source cloud management platforms. Thanks to all the people and organizations that have contributed to OpenNebula since its foundation in 2005! Yesterday we participated in the second edition of the cloud computing workshop within the Digital Agenda Assembly 2012 aimed at defining the European Cloud Computing Strategy. 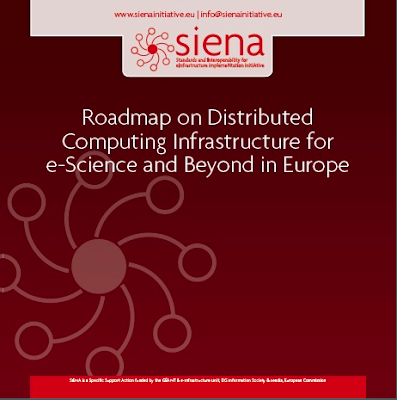 Last year, the aim of the workshop was to identify the main elements of a European cloud strategy and the possible need for public-policy intervention, considering demand and supply side concerns. 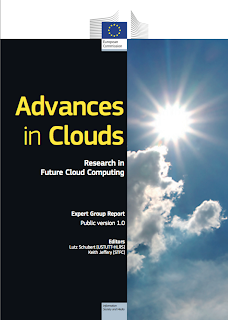 This edition has mainly focused on policy issues to coordinate cloud computing in Europe, international aspects of cloud, and key areas in contract terms, such as data preservation after termination of the contract, data integrity and disclosure. The agenda, presentations and recommendations are available at the Digital Agenda web site. "Key Challenges in Cloud Computing to Enable Future Internet of Things" is the title of the talk about future Internet of Things that I gave today January 19th at The 4th EU-Japan Symposium on New Generation Networks and Future Internet. The talk provides an architectural view of Internet of Things from the perspective of cloud computing, defines its main requirements for the underlying processing infrastructure, and describes the challenges in cloud computing that should be addressed to meet these requirements. The talk concludes with the description of the instruments that should be used to maximize the value of research and to support the collaboration between Japan and the European Union, namely openness, standards, coordination with running initiatives, and code re-use.